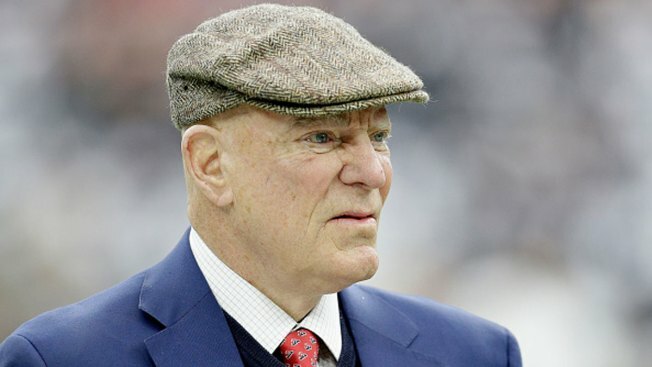 Robert "Bob" McNair, billionaire founder and owner of the Houston Texans, has died. He was 80. One of the NFL's most influential owners, McNair had battled both leukemia and squamous cell carcinoma in recent years before dying in Houston on Friday. The team did not immediately release a cause of death, but said he died peacefully with his wife Janice and his family by his side. "He was a very caring, thoughtful and passionate individual," coach Bill O'Brien said in a statement. "As much as he cared about winning, I think the thing I will remember most about Mr. McNair is the way he cared about the players." When Houston lost the Oilers to Tennessee after the 1996 season, McNair made it his mission to return the NFL to the city. He formed Houston NFL Holdings in 1998, and on Oct. 6, 1999 he was awarded the 32nd NFL franchise. The Texans began play in 2002. "He was the reason professional football returned to Houston and he (led) our franchise with a laser focus on honesty, integrity and high character," team president Jamey Rootes said in a statement. "He was an amazing champion for Houston and worked hard to make sure our city received maximum value from the presence of the Texans and the NFL." A powerful force in the NFL, McNair served as chairman of the league's finance committee and as a member of the audit committee. In August 2014 he spoke candidly about his battle with cancer, and outlined the many procedures and treatments he endured to recover. "In the past, if you mentioned cancer, people thought it's a death sentence," McNair said at that time. "That's just not nearly the case." It was then he revealed he'd dealt with skin cancer for about 20 years. He also noted then that he'd remain in charge of the team, but would work on delegating responsibilities to other members of his staff. "We're in terrific shape," McNair said. "I'll continue being the CEO and continue doing everything I can to put together a winning football team; that's what we're all about. We've won this other battle, and now we've got to win the battle of football. "I go to all the games and I'll plan on continuing doing that," McNair added. "I think I will enjoy it more and leave it to other people in the organization to worry more. I'll skip the worrying and take the enjoyment." He continued to attend many games after that pronouncement and was often seen at practice under the shade of a golf cart or talking with various staff members around the facility. "During his nearly two decades as an NFL owner, Bob McNair left a lasting mark on his city and our league," NFL Commissioner Roger Goodell said in a statement. "His leadership and determination brought the NFL back to Houston, built a magnificent stadium that hosted two Super Bowls, and his beloved Texans are in the midst of another successful season and are again contending for a place in the postseason. "He cared deeply about the league and was generous with his time and willingness to share his insights as an exceptional businessman. But above all, Bob was a family man. I extend my heartfelt condolences to Janice, their family, the Texans, and the entire Houston community." After several difficult building years as an expansion team, the Texans won their first AFC South title and first playoff berth in 2011. They also won the division title a year later when they went a franchise-best 12-4. Both years they lost in the divisional round of the playoffs. McNair made the agonizing decision to fire longtime friend and coach Gary Kubiak late in the following season as the Texans limped to 2-14, tying a franchise record for losses. He hired O'Brien in 2014 and the team improved to 9-7 in his first year, but missed the postseason. Houston put up an identical record in 2015, but this time in a weak AFC South it was enough to reach the postseason for the third time. That season ended with an embarrassing 30-0 wild-card loss to Kansas City. In March 2016, McNair beamed as he sat next to quarterback Brock Osweiler on the day the team introduced him in Houston, and seemed unfazed by the staggering $72 million, four-year contract they gave Osweiler to lure him from Denver. "We just want to get better every day," McNair said. "Certainly this is a day when we got a lot better." Not exactly. Osweiler struggled and his name was added to a long list of quarterbacks who couldn't help the owner get the title he so longed for. Osweiler was benched late in the 2016 season before getting his job back (through injury to his replacement) in time for the playoffs. But he threw three interceptions in a loss to New England in the divisional round, and Houston had seen enough and shipped him to Cleveland a few months later. The Texans drafted Deshaun Watson in the first round in 2017 to replace Osweiler, but he sustained a season-ending knee injury in a year when star defensive end J.J. Watt also missed most of the season with a broken leg. Houston went 4-12 in the last full season McNair would see. McNair came under fire in 2017 when he said "we can't have the inmates running the prison" during a meeting of the NFL owners about players who protest social and racial injustice by kneeling during the national anthem. McNair issued two apologies after the remarks became public, calling it a "very regretful comment." In response, almost all of the Texans kneeled during the anthem before their game against the Seahawks on Oct. 29, 2017 after no one on the team had kneeled before. McNair was born in Tampa and graduated from South Carolina in 1958 with a bachelor of science degree. He received an honorary doctor of humane letters degree from South Carolina in 1999, and in 2010 was given an honorary doctor of humanities in medicine degree from Baylor College of Medicine. He and Janice moved to Houston in 1960 and he made his fortune as the founder of Cogen Technologies, an energy company which was sold to Enron in 1999 for $1.5 billion. The couple has been committed to charity in the city, and he was the chairman of The Robert and Janice McNair Foundation, The Robert and Janice McNair Educational Foundation in Forest City, North Carolina, and the Houston Texans Foundation. Through these efforts the McNairs have given more than $500 million to scientific, religious, educational and literary organizations. He also founded the AdvoCare Texas Bowl, which has provided more than $700,000 in funds to the DePelchin Children's Center in Houston. Along with his wife, McNair is survived by four children, 15 grandchildren and two great-grandchildren.